Window Cleaning Facebook Group Owner, Mark Munro, 45, has decided to organise a window cleaners gathering promising something for everyone. 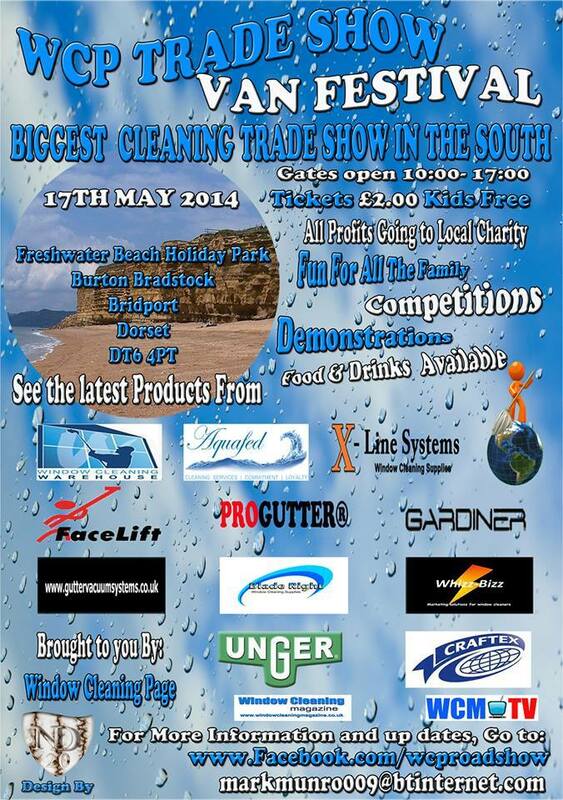 The event is aimed at gathering like-minded window cleaners to come together at the holiday destination of Freshwater Beach Holiday Park, Burton Bradstock, Bridgeport in Dorset. Mark Munro, a humble window cleaner, in Dorset UK originally set up the event because he felt that there was no event that catered for window cleaners like him in the South of England. Mr Munro has worked hard in creating a family environment, meaning window cleaners can enjoy the event with their loved ones. The event promises a great day out. Visitors and attendees include Steve Blyth of JRC, USA, Willie Erken of Wagtail, AU and Chris Lambrinides of WCR USA. All the usual, familiar faces from the UK will also be holding stands such as Facelift, Aquadaptor, Gardiner, GrippaMax, Unger, X-line to mention a few. The gates will open from 10.00am to 17.00pm and tickest will be £2.00 per head with children entering for free. All profits form the entry fee for the show will go to a local charity. New product reveals are promised at the show from varied manufactures. For me the one to really watch for is Facelift and their outstanding new line of hi-tech systems. I attended the VanFest in Northampton 2012 that was set up by the forum Clean It Up. Although, it started off great, we have been waiting for the second one to be held. Sadly, so far, this has not happened and the WCP Tradeshow has picked up on that void. The buzz has been different around this event to be fair and the whole thing has snow balled for Mark. Even he is shell shocked by the attention. But as far as I am concerned this is only a reflection of the hard work he has put in. Food and drink with music. What are you waiting for! ?